FTS360 is a cloud-based platform that allows you to view data from stations supporting MQ Telemetry Transport (MQTT), such as the LT1, while offering full configuration capabilities no matter where you are. 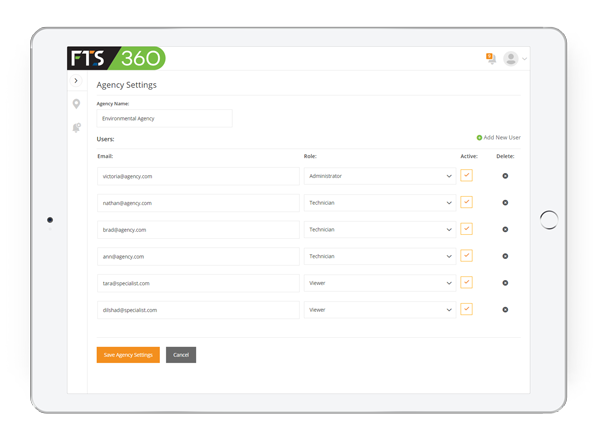 In addition to viewing and managing your stations from an intuitive and easy to understand web portal, FTS360 can be trained to act on your behalf, even if you aren’t watching. Alerts and actions allow you to receive weather data directly, in near real-time. Stations can act based off another station’s data – for example, if the temperature in a high snow area rapidly increases, another station using the LT1 and FTS Radar can start to take more frequent readings while sending you a notification. Once alerted, it’s easy to get back to FTS360 and view the whole picture. This intelligent network is made possible because hardware stations communicate to the FTS360 leveraging MQTT, a standardized IoT protocol. This infrastructure ensures your network is future-proofed, as it is fully compatible and easily scalable with any supported MQTT-based station. Built on standardized protocols using best-in-class cloud architecture, FTS360 promises to be the future of near real-time environmental monitoring networks. FTS360 works to keep your data safe and available to you, whenever you need it. Starting at the station, data is locally stored, and then sent to a redundant and backed-up Amazon Web Services database. This means you’ll always have real-time, high-speed access to your data. Plus, downloading and exporting your data is simple and straightforward. Easy setup and configuration, right on your mobile device. The FTS360 Config App allows you to access supported FTS products onsite through a wireless local connection. Convenient, simple and intuitive. With FTS360, it’s simple and straightforward to have an entire team onboard. The software is a multi-agency, multi-user platform built from the ground up to ensure secure and controlled access to the environmental data it stores. Use built-in permissions to ensure that the right people can modify stations, visualize data and create alerts. Built from the ground up with security in mind, FTS360 leverages Industrial IoT networks to enable encrypted, authenticated and secure communications using industry standards. 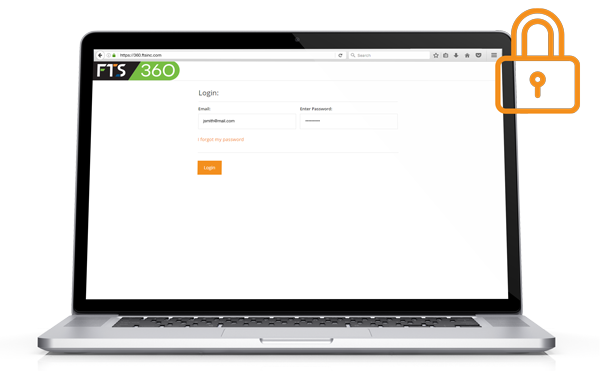 FTS360 also acts as a secure store for station configuration and access, assigning each station a unique, complex password. Technicians in the field use the FTS360 Config App to access each station without having to ever learn or remember a station password. Removing a technician from your agency revokes their access, ensuring that even through employee turnover, your entire network remains secure.